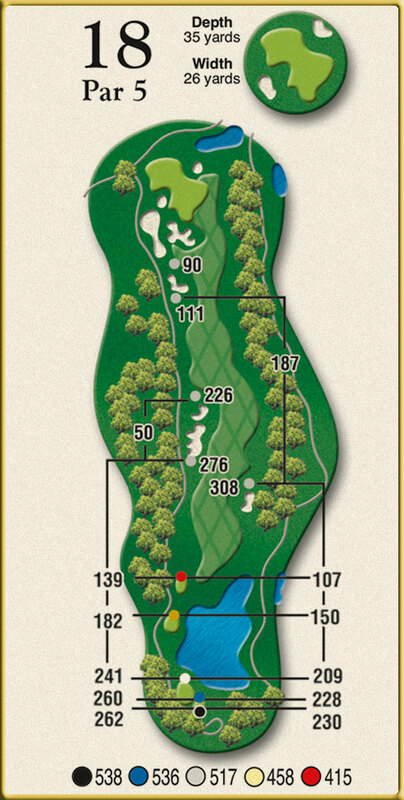 The finishing hole number 18 at Crow Creek should be one that could settle a lot of matches. 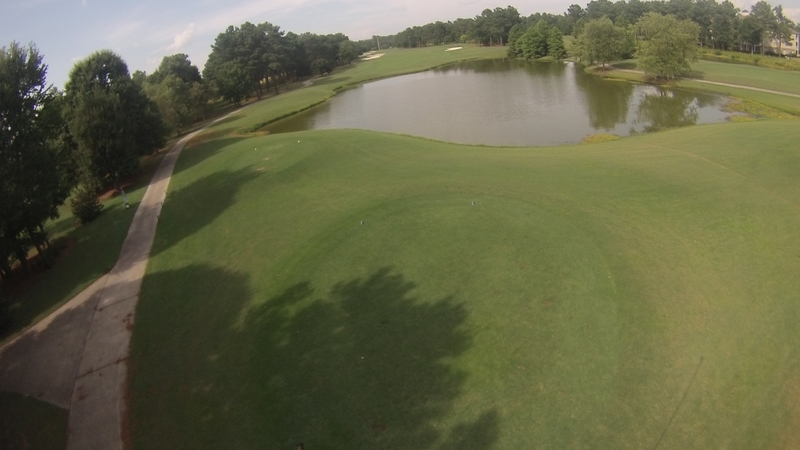 This par 5 is potentially reachable with two good shots and was designed with that in mind. 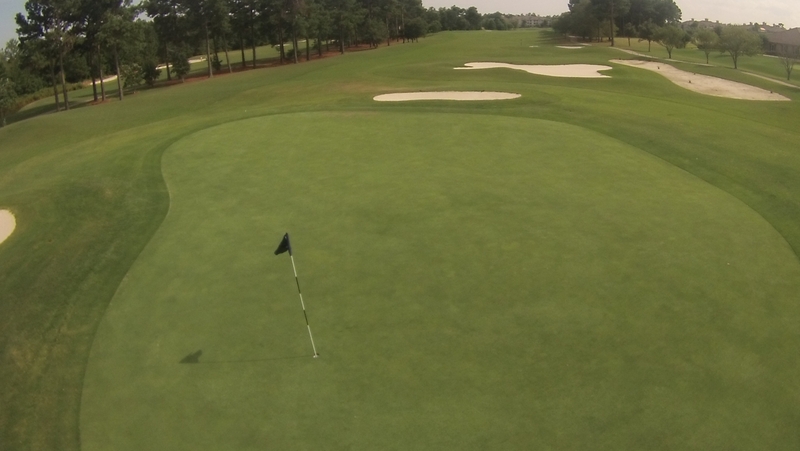 The first landing area is wide and inviting, asking a golfer to hit the long drive. Several bunkers guard the green but the entire front of the green has been left open to encourage the try for hitting the second shot on. A gamble here could pay off.